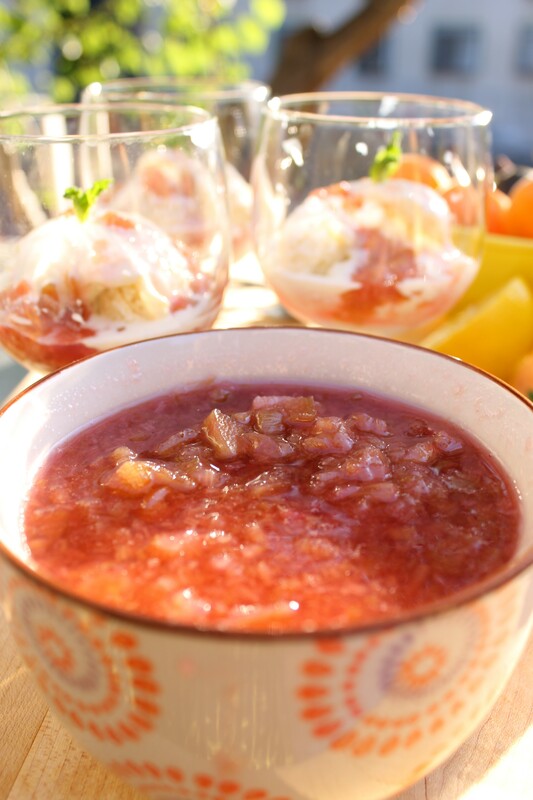 I like the simplicity of this compote, with nothing but sugar & vanilla to enhance the sharp-sweetness of the rhubarb, but if you are so inclined try adding some cinnamon. 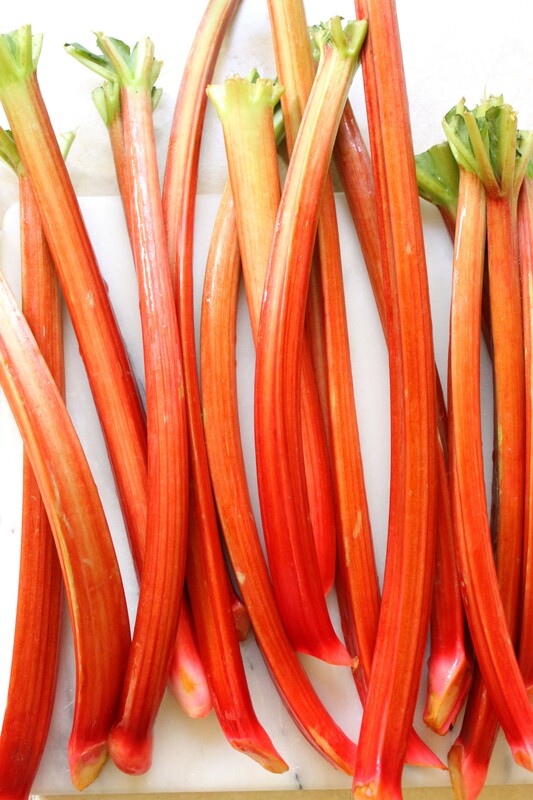 It’s a surprising combo that will put a smile on your face & a tingle in your toes. 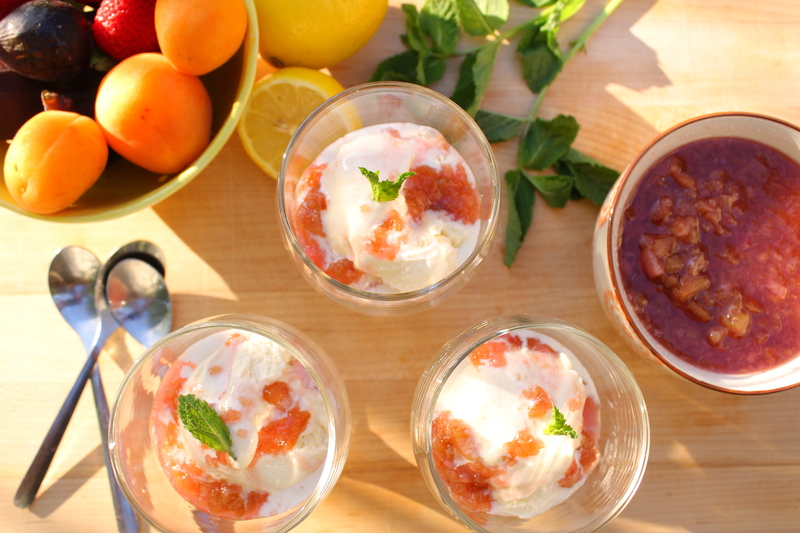 And, of course, don’t forget the ice cream (although eating this by the spoonful is never frowned upon in my house). 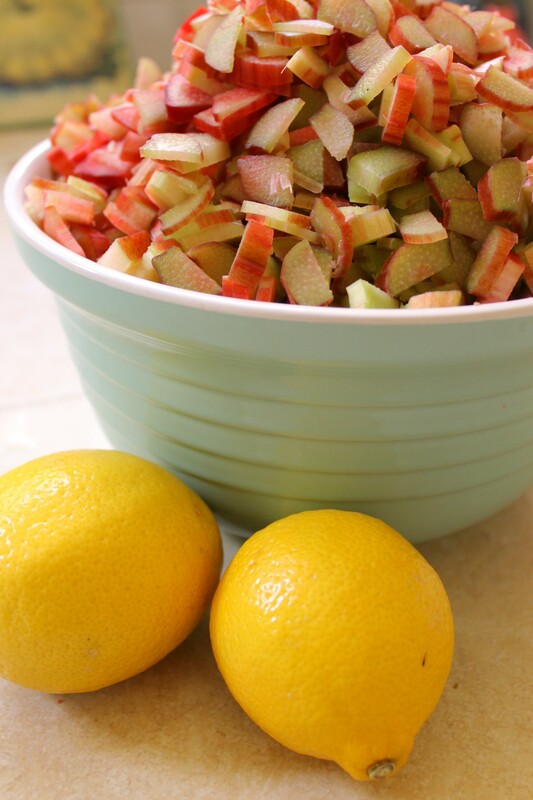 Place the rhubarb, sugar, and lemon juice into a heavy-bottomed pot over medium high heat. 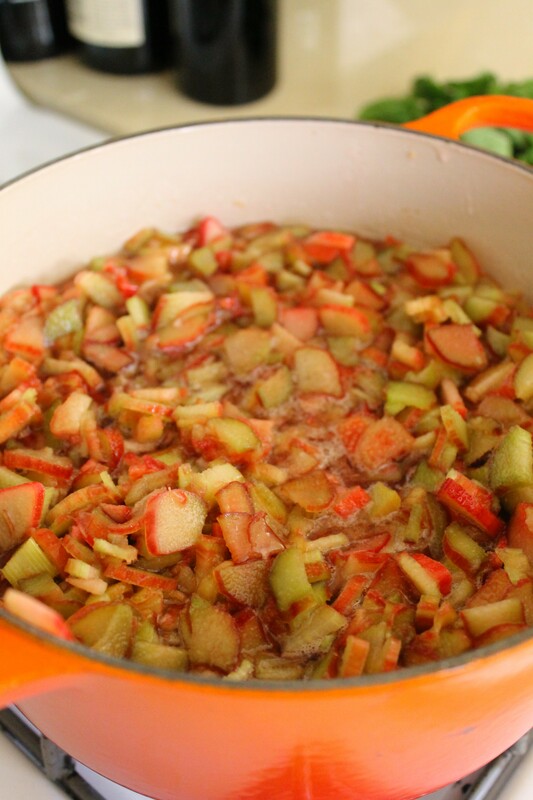 Bring to a boil, stirring constantly, then reduce heat to low, cover, and simmer for 7 minutes. Remove from heat, add vanilla, and cool completely. Serve with love. “it’s distinct flavor” is incorrect. “it’s usually second fiddle” is correct. “to it’s frenemy ” is incorrect. “It’s a surprising combo” is correct. 50-50 ain’t bad, but you’re a star. Bobby Flay, Alton Brown and Giada De Laurentiis got nothing on you, babe! The word “it” is a weirdo, in that its possessive (as in “its”) has no apostrophe. When the apostrophe is used, it is a contraction for “it is” (as in “it’s”). So, when in doubt, just remember this phrase… “the apostrophe replaces its missing letter” (note no apostrophe in “its”). John, I am mortified. I am usually a grammar Nazi myself, but this slipped out. I do not know where my head was, or the head of my trusty “editor” was. We will both be hanging our heads for some time. When are you visiting in August? How exciting! Can you text me the details?